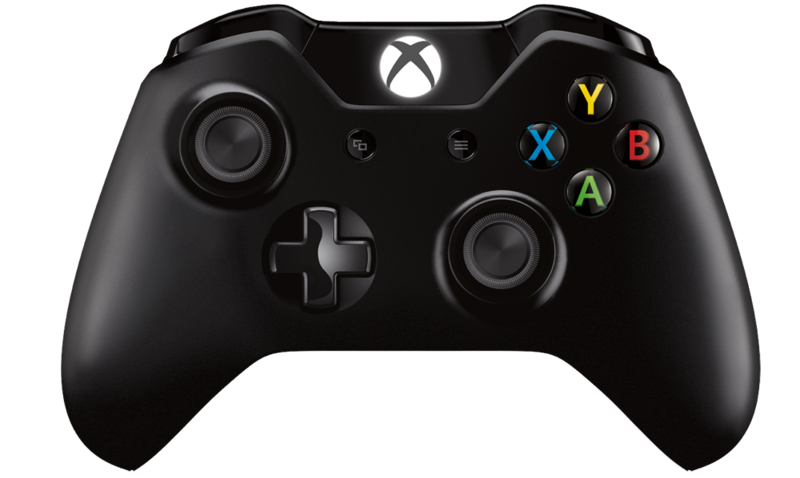 The Xbox One controller, originally designed for Microsoft's Xbox One home game console, was the second 3rd-party device to get official Steam Input support (simultaneous with the Xbox 360 controller and generic XInput devices). In contrast to the Playstation 4 Controller and Steam Controller, it lacks both touchpad and gyroscope. A slight evolution of the Xbox 360 Controller, it features identical input capabilities in a revised form factor. The BACK and START buttons are now called VIEW and MENU and have new labels (two overlapping windows and a 3-line "hamburger menu"). These are identical in function to BACK and START on the Xbox 360 controller, they just have new names and icons.